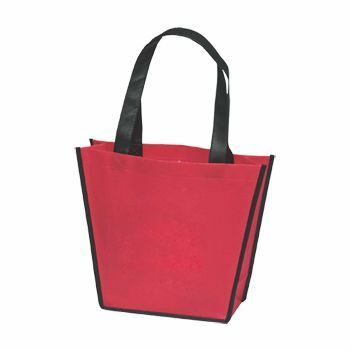 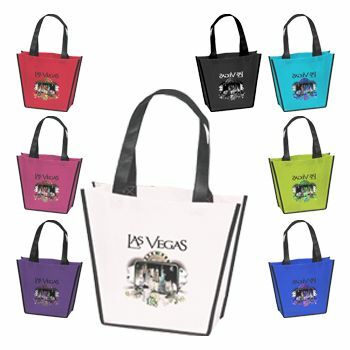 Your customers will be happy to carry around this versatile Carnival Tote, complete with your logo custom printed on it. These Carnival Totes are durable and attractive with black handles and black piping accents. 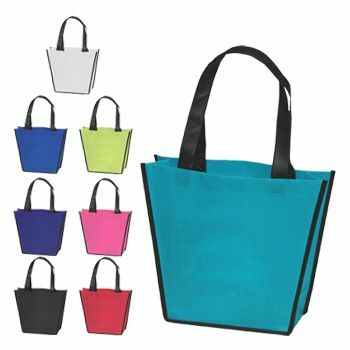 No matter if they are heading to the mall or to the beach, the Carnival Tote will be a great addition to any day trip. 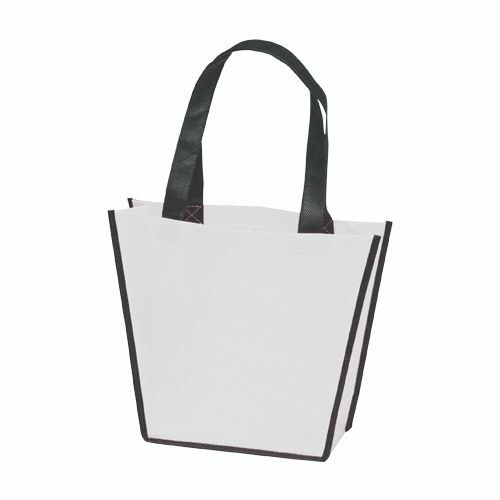 Spacious and attractive, these large bags are made to last with high quality polypropylene and a plastic bottom insert. The long handles make it a breeze to carry or simply tote around. Order your Carnival Totes today and make sure your logo is noticed clearly.